Now included are parts kids requested: dino tails and scales, panda heads, antlers, and more. Download or update your app on the App Store. The Creature Garden is No. 6 of our Digital Toys series. In the app, kids can create wonderful, incredible, fantastical creatures with hundreds of different hooves and horns, wings and beaks, paws and claws, and more. Kids can design a wild garden to play with their creatures in, race them, or cross two creatures to make new breeds. 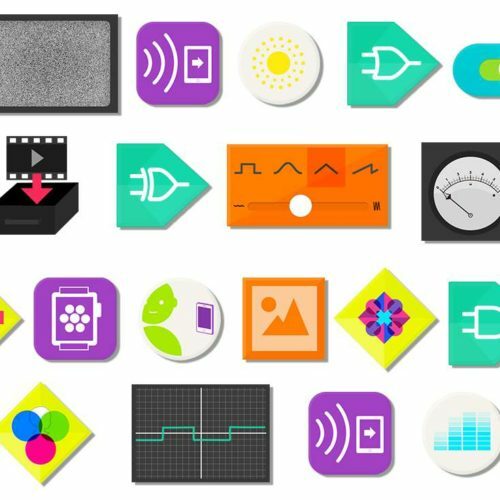 Each Digital Toys app is an open-ended construction kit for kids to build, test, and play. Kids develop creative-thinking, problem-solving, and storytelling skills. If you and your kids have feedback, ideas, or stories, please leave a review on the App Store. We love hearing from you.